Achieve colour printing at fast speeds, and increase efficiency with MFP versatility. Print outstanding colour and help protect your MFP, using Original HP Toner cartridges with JetIntelligence. Get versatile performance and print, scan, and copy. Increase productivity with the automatic document feeder. Breeze through tasks with automatic printing, scanning, copying, and faxing. Count on high-quality colour with Original HP Toner Cartridges with JetIntelligence. Print from the cloud, scan on the go, and more. 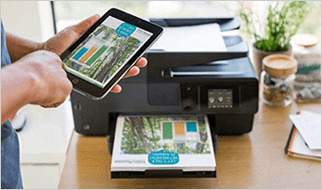 Scan on the go, print from your smartphone, and easily order toner, with the HP Smart app. Print directly from current operating system. Opi: I love it to print without cable even to the next room, from any computer or mobile phone. Great product, easy to setup and brilliant to use. Brian41: Good value for money. Product has many very good features. 1 For details on local printing requirements see http://www.hp.com/go/mobile printing. 2 Wireless operations are compatible with 2.4 GHz and 5.0 GHz operations only. Learn more at http://www.hp.com/go/mobileprinting. Wi-Fi is a registered trademark of Wi-Fi Alliance®. 3 Requires the HP Smart app download. Features controlled may vary by mobile device operating system. Full list of supported operating systems and details at http://support.hp.com/us-en/document/c03561640. 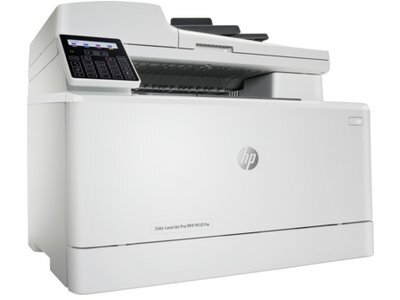 For details on local printing requirements see http://www.hp.com/go/mobileprinting. Breeze through print, scan, copy, and fax tasks, using the automatic document feeder (fax and ADF available on M181fw only). Have confidence in your connection with steady performance from dual band Wi-Fi .